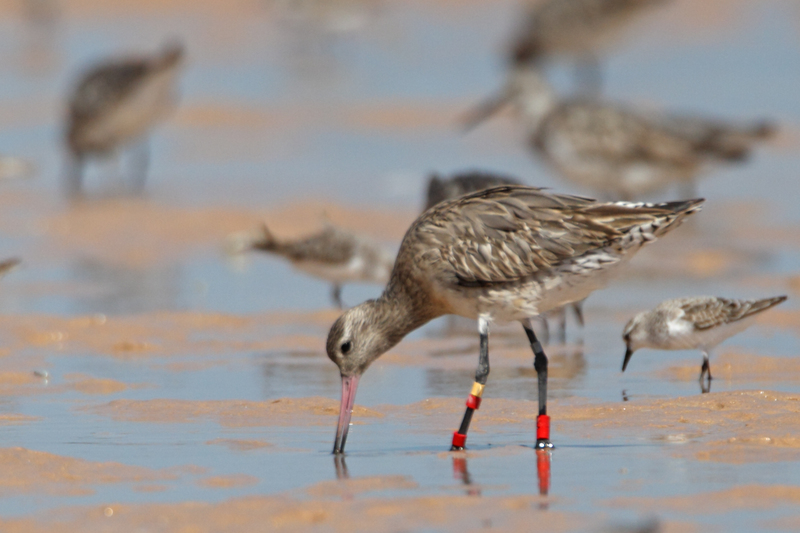 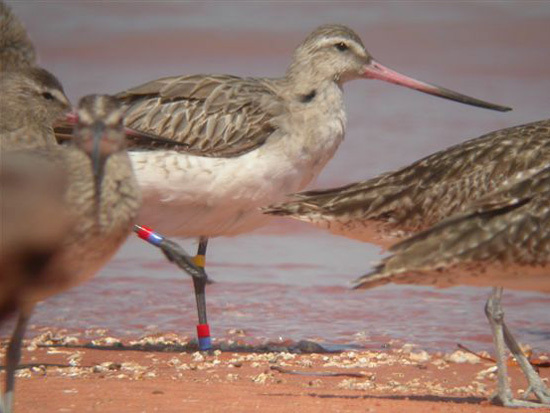 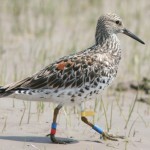 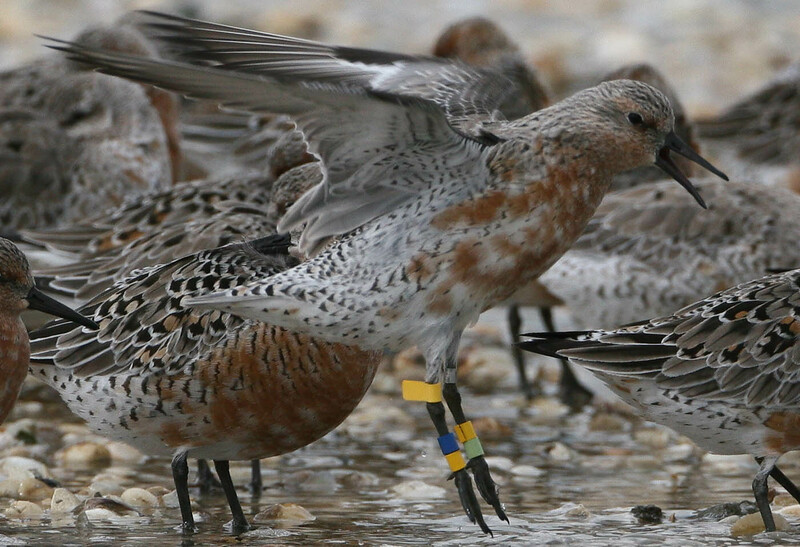 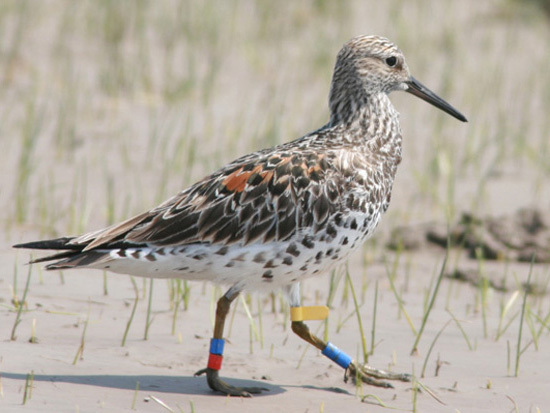 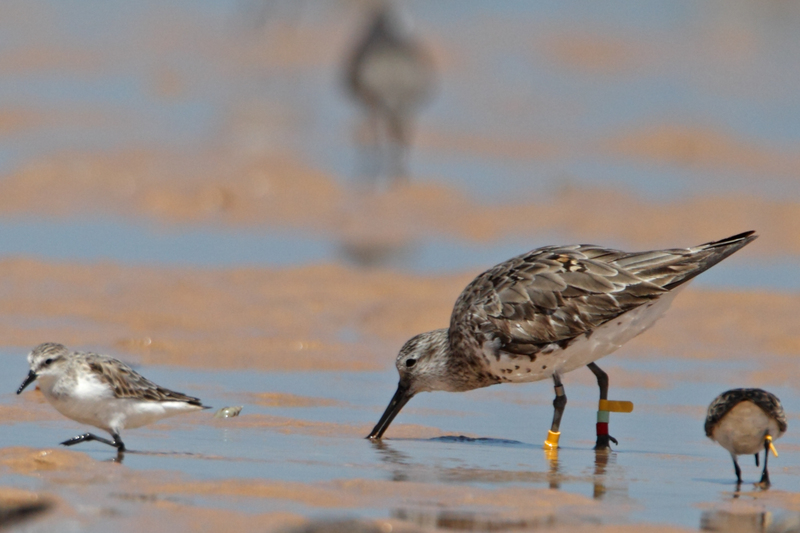 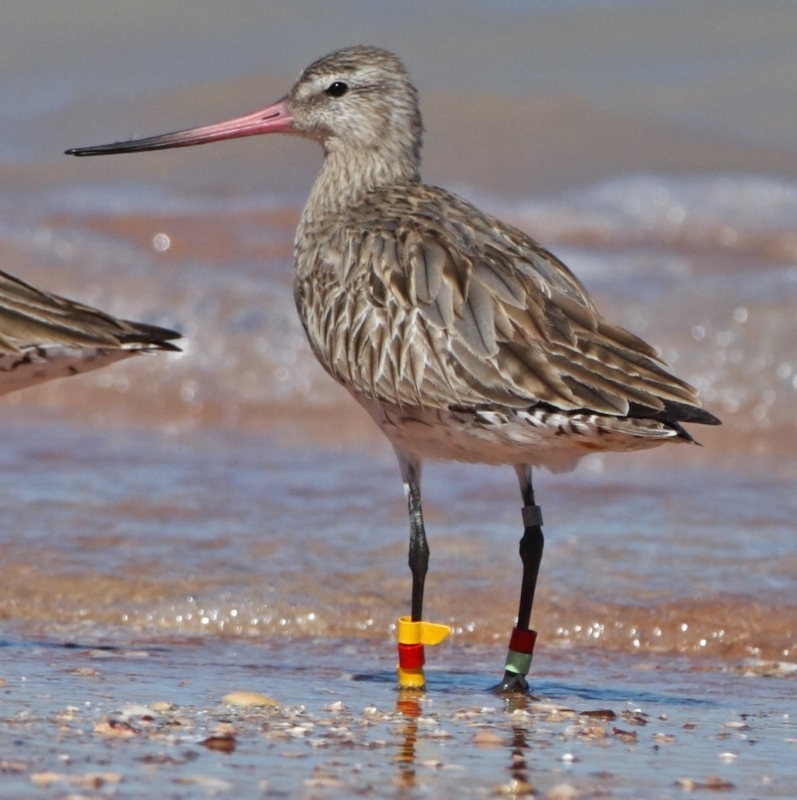 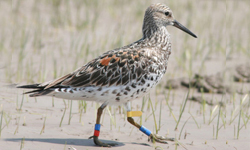 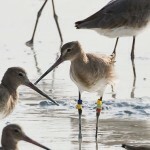 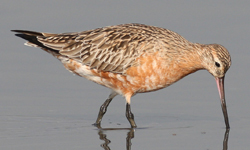 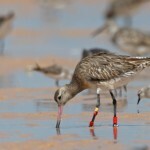 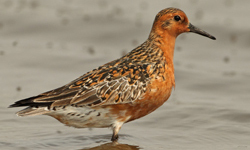 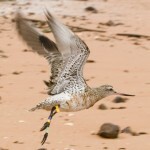 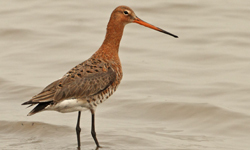 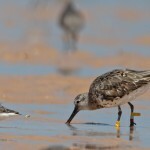 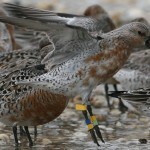 Record the species – Red Knot, Great Knot, Black or Bar-tailed Godwit. 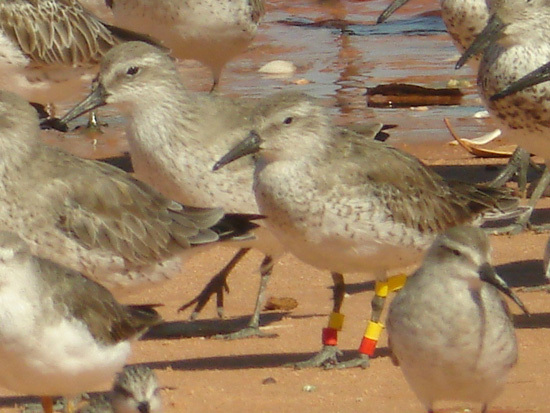 Record flag colour and position – In these examples the leg flags are yellow and are recorded as YLF (Yellow Leg Flag) / UL or UR (Upper Left or Upper Right). 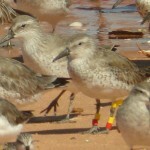 An alternative is to use numbers to denote the flag position, as in the colour band chart. 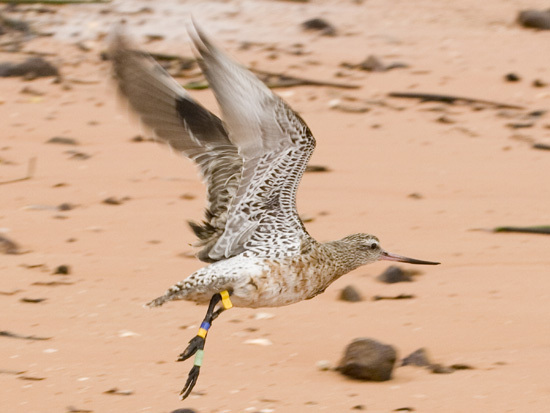 Record band colours on the bird’s left leg – upper and then lower. 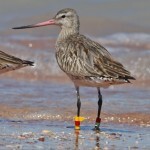 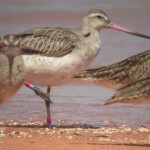 Record band colours on the bird’s right leg – upper and then lower.